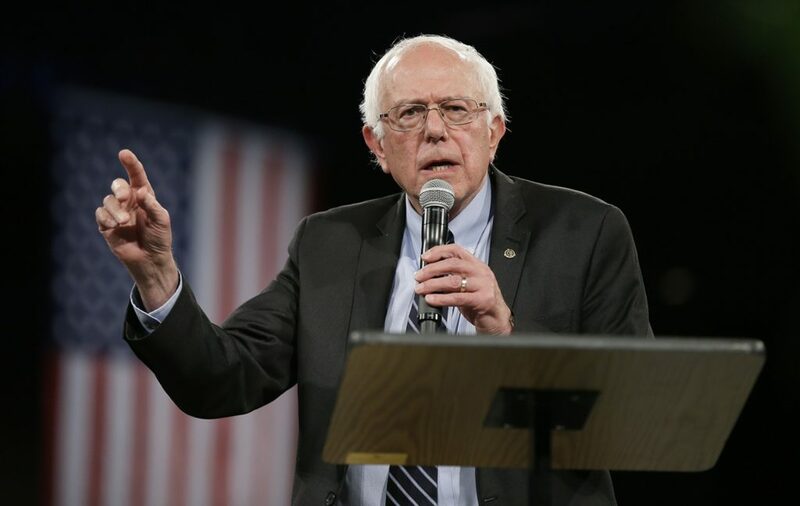 ” We should look to countries like Denmark, like Sweden and Norway and learn from what they have accomplished for their working people,” declared Sen. Bernie Sanders during a recent Democratic presidential debate. This is a common talking point among Democrats who want the United States to be more like European countries with higher taxes and a larger welfare safety net. Yet, it would likely shock progressives, probably even Sen. Sanders, to know that these countries, which they want to replicate here, have far more vibrant school choice programs than currently exist in the U.S. and Wisconsin. A study I co-authored at the Wisconsin Institute for Law and Liberty, a Milwaukee-based think-tank, examined several school choice programs around the world, including Sweden, the Netherlands and Chile, comparing them to the voucher programs in Wisconsin. Critics of school choice outright condemn Wisconsin’s voucher programs, claiming that they will inevitably collapse the public school system all the while worsening achievement gaps among students and hurting students from disadvantaged backgrounds. But global policy and evidence suggests otherwise. Our survey demonstrates how empowering parents and students to choose the education that best meets their needs is not a uniquely American or even “conservative” policy. In Sweden, every child, regardless of socioeconomic status or geographic location, is eligible for a voucher to attend any public or private (including religious) school. While Wisconsin has made great strides in lifting caps on the voucher program, only those at 185 percent of the federal poverty limit are eligible for the Wisconsin Parental Choice Program. Despite universal voucher eligibility, the sky has not fallen on public schools in Sweden. The most robust academic study on Sweden’s voucher program, by Anders Bohlmark and Mikael Lindahl, finds that more competition between private and public schools leads to higher test scores for public schools. These findings are consistent with those of Stanford economist Caroline Hoxby’s study examining three choice programs in America — in Milwaukee, Arizona and Michigan — which found that metropolitan areas with maximum inter-district choice have consistently higher test scores than do areas with zero inter-district choice. In the Netherlands, the same country that has legalized prostitution and cannabis consumption, a staggering 70 percent of all schools are private, 90 percent of which are religious. This is due to a vibrant, universal voucher program. Since 1985, the Dutch have had a “weighted” voucher program that allocates more funds to children from low-income families, children with disabilities and children with parents who have a low education level. This has helped close the achievement gap between poor and wealthy children. In Chile, like in Netherlands and Sweden, public and private schools receive the exact same amount of funding per student. In other words, funding follows the student perfectly. More than 50 percent of children attend private schools. According to the 2012 Achievement Growth Study, published by scholars at Harvard and Stanford, the achievement gap between poor children and non-poor children has closed at an annual rate of 4 percent from 1999-2009 on international tests such as the Programme for International Student Assessment and the Trends in International Mathematics and Science Study. Sweden, the Netherlands, and Chile are just three examples of the many school choice programs around the world. Among the world’s 34 wealthiest countries, 25 have vouchers or tuition tax credits for students to attend private schools. The 2009 PISA exam, given to students in economically developed countries in mathematics, science and reading, reveal that private school students perform 25 points higher in reading than students who attend public schools. To be sure, exporting other nations’ education systems to the U.S. is no simple matter. There are differences to consider in areas like culture, government and the economy. But a shake-up is required in the United States, and looking to other democratic countries as laborites of effective policy is a good way to discover what can improve policy here at home. As a previous WILL report demonstrates, America spends more on education than nearly every other nation for, at best, mediocre student outcomes in comparison to our Organization for Economic Cooperation and Development peers. Is more vibrant school choice the answer? Perhaps. But what is clear is that what appears politically impossible here, i.e. universal voucher eligibility and money following the student, is feasible, common and successful in other parts of the world. Bernie Sanders and I may not agree on much, but when it comes to education, his plea to look to Europe and Scandinavia to inform policy holds some merit. Lexi Hudson is lead education policy analyst for the Wisconsin Institute for Law and Liberty (WILL). Thinking of submitting an op-ed to the Washington Examiner? Be sure to read our guidelines on submissions.